The recent, fatal crash of a F-16 Fighting Falcon at Nellis Air Force Base that claimed the life of a Thunderbirds pilot is the latest in a string of accidents. We all know that flying high-performance jets comes with an element of risk — but many don't realize just how dangerous these powerful vessels truly are. The same people who denigrate former President George W. Bush's service with the Texas Air National Guard forget that of the 875 F-102 jets produced, 259 crashed, leading to 70 pilot fatalities. No matter the conditions, flying these high-powered war-fighting tools comes with a great deal of risk. You might wonder how pilots get killed, especially when they have ejection seats. Well, in some cases, pilots will choose to ride a plane in to avoid dropping several tons of steel out of the sky, potentially harming people on the ground. 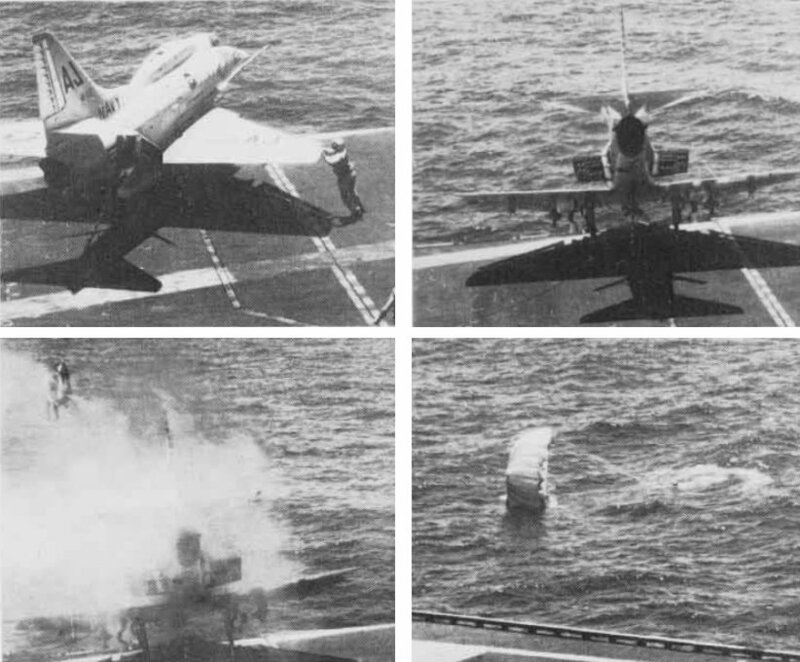 But when the crew does punch out, even modern ejection seats, like the ACES II, offer no guarantee of safety. In Top Gun, Goose was killed despite hitting the loud handle in his F-14. Why is that? For the answer, let's take a look at how ejection seats work. In essence, after the hatch or canopy is blown open, a catapult fires the seat away from the plane. Then, a rocket ignites, further propelling the seat. Then, if all goes well (which can be a big "if"), the seat then separates from the pilot, the chute opens, and the pilot drifts safely down. An ejection seat saves Lieutenant (Junior Grade) William Belden after the brakes on his A-4 Skyhawk failed. So, why are some pilots still killed in crashes? In some cases, the ejection simply doesn't go well — as was the case with Goose. Other times, though, it's a different problem entirely. Ejection seats, like planes, have envelopes. A plane can be going too fast for a seat to reliably work (one F-15 pilot survived ejecting at Mach 1.4 and later returned to flight status). The fact is, it takes a lot of force to get a pilot out of a high-performance fighter, like the F-15, safely. Other times, pilots are determined to save their plane. Such was the case recently for the crew of an EA-18G, and their superb skills resulted in earning Air Medals for acts of non-combat heroism. Sometimes, however, pilots will try to save their vessel for too long and, by the time the ejection seats get the pilot out, they're badly injured or even killed. To avoid this, it's become very important to train pilots on when they should pull the handle. Timing matters — and even a perfect ejection can compress a pilot's spine. To find out how pilots learn when to leave a disabled aircraft, watch the video below.